Company: PTT Aromatics and Refining Public Co., Ltd.
PTT Aromatics and Refining Public Company Limited (PTTAR) has three large-scale plants at the Map Ta Phut Industrial Estate in Rayong, Thailand. AR1 is a refinery and AR2&3 are aromatics plants. This PTTAR refinery and aromatics plant complex has a refining capacity of 280,000 barrels per day and an aromatics capacity of 2.26 million tons per year. AR1 had a legacy distributed control system (DCS) that had been in use for more than 10 years. With the aim of upgrading to the latest technologies, PTTAR decided to replace this system with Yokogawa's CENTUM CS 3000. 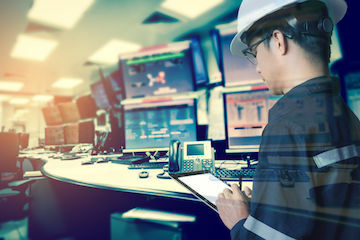 The major challenges in this system migration were to minimize the replacement period while ensuring that the refinery's operators could soon make the transition to the new man machine interface and operate the system safely. To facilitate this transition, PTTAR decided to purchase a Yokogawa OmegaLand operator training simulator (OTS). Yokogawa Thailand successfully installed both the new CENTUM CS 3000 DCS and the OmegaLand OTS, and used the OTS's simulation function to confirm the functionality of the new DCS. In so doing the AR1 project team was able to achieve a flawless start-up, with no losses or downtimes. The operators particularly appreciated this OTS's virtual test functions. Through the use of a realistic plant-like operational environment, operators can be trained to perform a variety of plant operations. Training operators with an OTS is an effective means of helping them learn how to deal with unsteady state conditions and improve their operation skills. Operation training can be divided into planned event and unplanned event categories. Furthermore, training procedures can be provided for normal operations and exceptional operations. It is possible to perform all of these types of training by combining the functional modules of the OmegaLand OTS. With the expectation that DCS-OTS integration would take at least three months and that the system would have to be ready at least six months before the actual start of the plant revamping, PTTAR considered the overall schedule when taking bids for the AR1 project. It proved to be a great advantage that the OmegaLand OTS could be made available one year before the start-up, giving operators all the time they needed to familiarize themselves with the new DCS. The virtual test function of the OmegaLand simulator created the same environments as the new DCS. Suppalerk Suppawatin, Process & Performance & Control Division Manager, said, "We were very happy that we could use Yokogawa's CENTUM CS 3000 system and the OmegaLand OTS software for our replacement project. 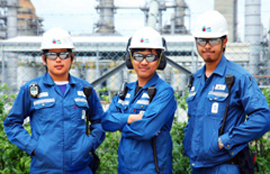 We selected the right solution from Yokogawa and we executed the right project schedule. We minimized the total cost and achieved a successful replacement. We assigned the right engineers and operators, who worked closely with Yokogawa members as an excellent project team." 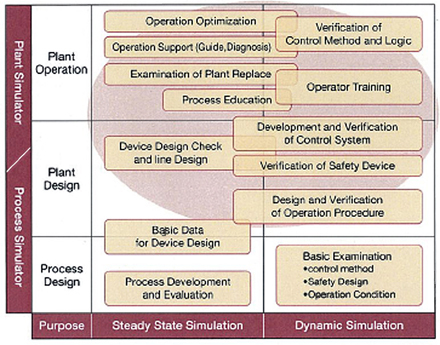 Yokogawa's simulator offers a highly accurate operator training system with a realistic feel, an environment for examining and verifying control methods, functions for plant optimization, energy saving designs, and online operation support through the use of modeling and simulation technologies. OmegaLand is an integrated environment for dynamic simulation that enables the creation of a virtual plant. OmegaLand consists of independent modules with specific functions and offers an environment for the achievement of all sorts of objectives. CENTUM CS, Yokogawa's legacy distributed control system, has been widely applied in plants all over the world, providing high reliability since 1993.